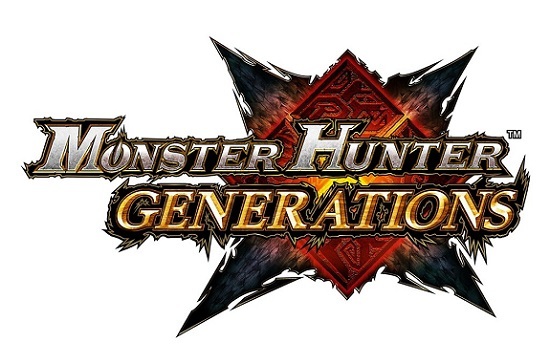 After a great debut, Monster Hunter Generations is holding pretty well in the United Kingdom during Week 29. It’s now #4 of sales, after losing only 2 places. How long will it manage to enjoy such steady sales? We should get a good picture of the game’s performance within the next couple of weeks. Naturally, Monster Hunter Generations is the best-selling game on Nintendo 3DS this week. First, we have Pokémon Omega Ruby at #16 (+24 places at once) and Pokémon Alpha Sapphire at #19 (+ 13 places at once), boosted by Pokémon GO. As for Pokémon Y, it makes its comeback in the Top 40 at #22, while Pokémon X is trailing behind at #35. Even Pokémon Super Mystery Dungeon was impacted by the increase in Pokémon game sales, and managed to get to #39 this week. At #20, we have New Super Mario Bros. 2: it makes its comeback in the Top 40, most likely thanks to Pokémon GO players looking for a cheap Nintendo 3DS model. And it turns out that the Nintendo 2DS + Super Mario Bros. 2 bundle is currently the best-selling Nintendo 3DS model on Amazon.co.uk… [NB: affiliate link]. Tomodachi Life also seems to be impacted by the increased in Nintendo 3DS sales: it gained 7 places this week, and is now at #21. Next, Minecraft: Wii U Edition is holding pretty well (better than the PlayStation 4 version), and it’s #25 for Week 29 (+6 places in one week): it’s the best-selling title on Wii U for Week 29. Even Mario & Sonic at the Rio 2016 Olympics is up this week: it’s now #28 (+ 9 places in one week). Finally, Yo-kai Watch makes its comeback at #33. 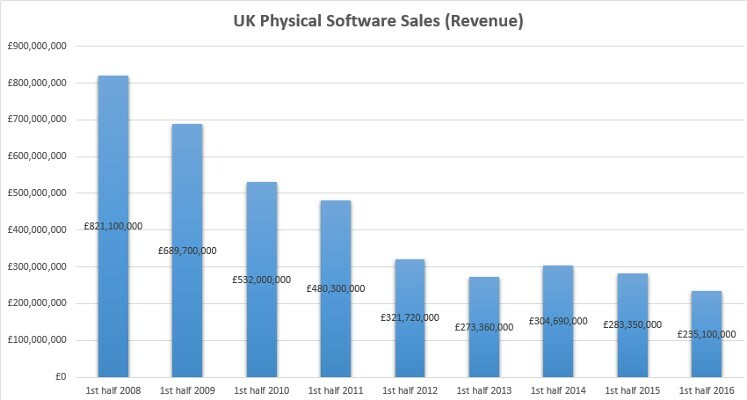 June 2016 was a pretty poor month for video game sales in the United Kingdom. This time around, sales for every single week are down, and there isn’t a one to “save face”. What’s more, all platforms are impacted: it’s not just Nintendo platforms which are dragging the market down. 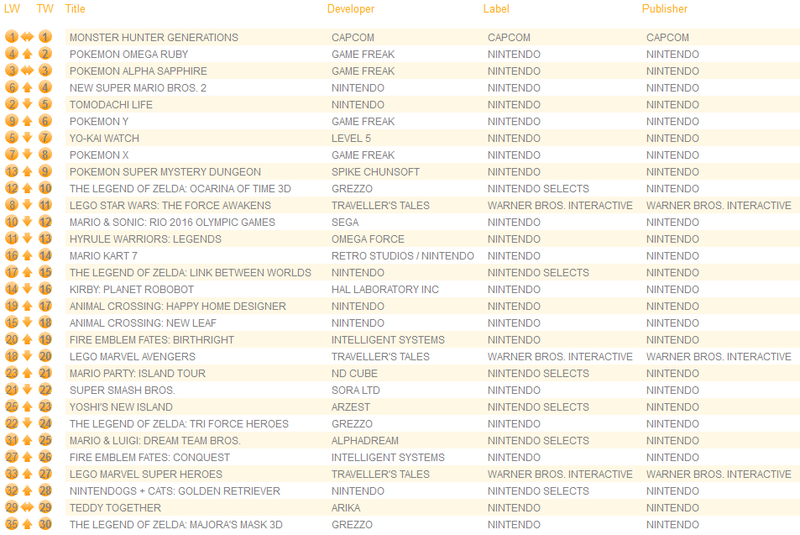 In fact, the Nintendo 3DS is the one platform which the smallest drop. 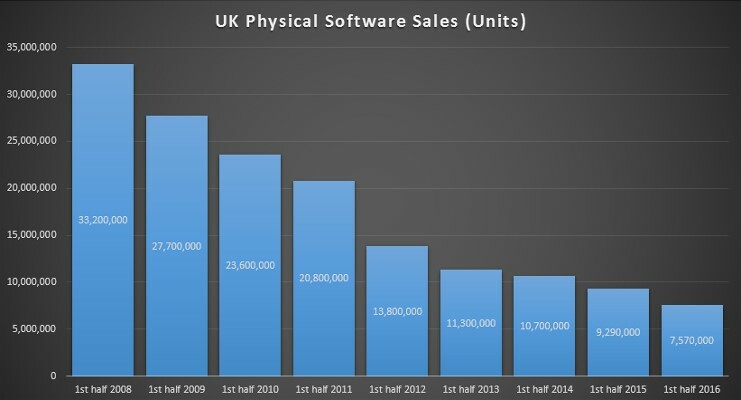 And when looking at the market as whole, one can easily see that sales of physical games in the United Kingdom were at their lowest in a while during the first half of 2016. 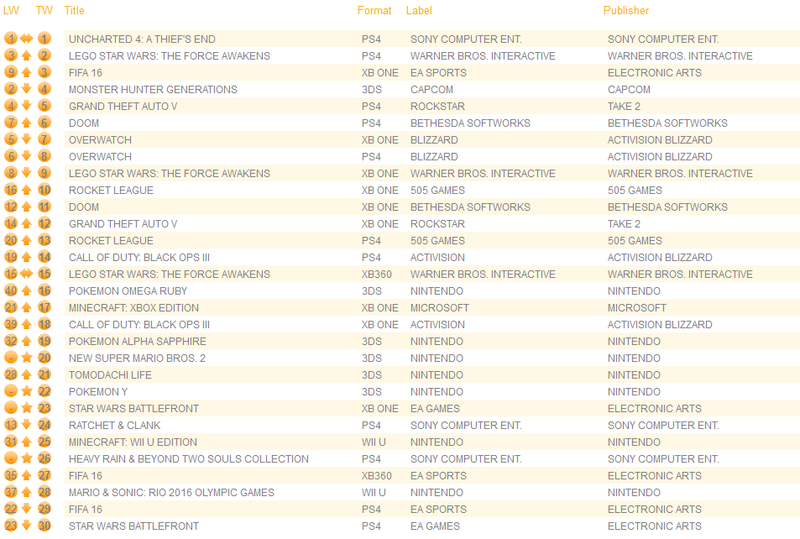 Monster sales for Monster Hunter in France! 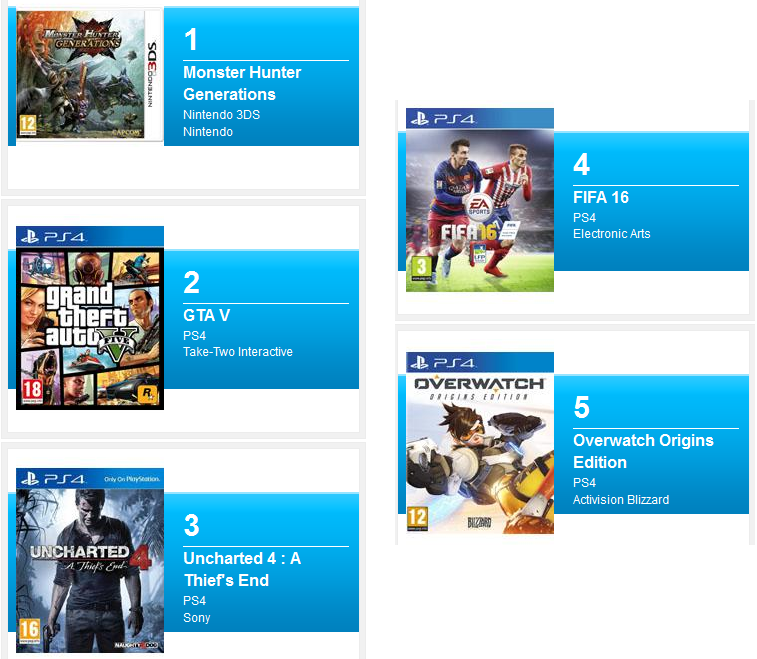 Monster Hunter Generations landed at #1 of the All-Format Top 5 for France during its launch week: a pretty good result, though without any concrete sales data, it’s hard to say exactly how good that result is. Naturally, it’s the new best-seller on Nintendo 3DS. On Wii U, it’s Mario & Sonic at the Rio 2016 Olympics that are dominating sales.